It is only fitting that I introduce you to Lisa today, because TOMORROW I will get to hug her and see her in the flesh. This fact makes me incredibly happy, friends. 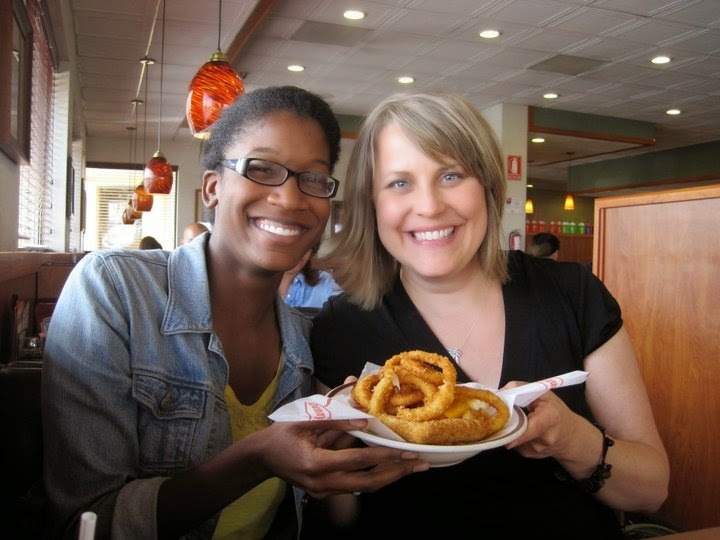 Lisa and I met when I was in Mexico because I taught her daughter Quincy for two years. 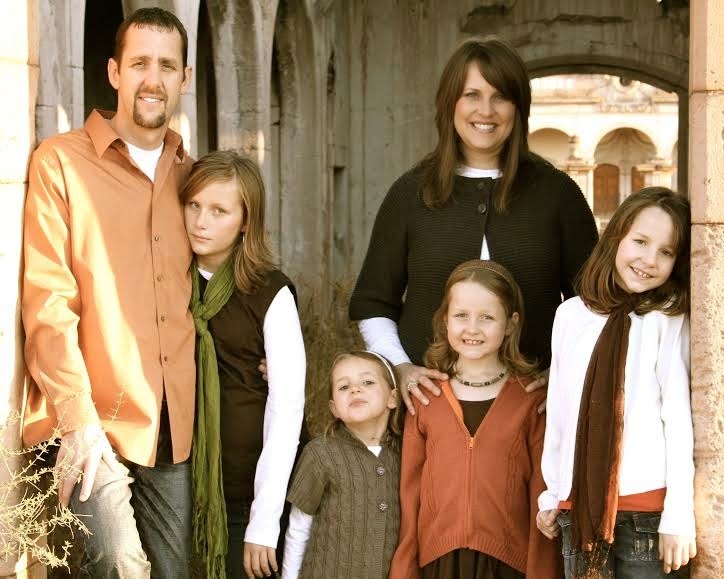 Lisa, her husband Sean, and their four girls were an integral part of my life while in Chihuahua. Not only was I Quincy's teacher, but I also attended the church they planted, Capilla Calvario Chihuahua (Calvary Chapel Chihuahua). We saw each other nearly every day. They invited me into their lives, and it wasn't long before my Thanksgiving and Easter days were spent there, along with many a Friday night or Sunday afternoon watching movies with the girls and dancing the night away when their parents went out of town. Lisa is an incredible woman. She loves her family fiercely, but more than that, she loves the Lord her God. I am sincerely grateful to call her my friend, and I am so excited that y'all get to meet her today. I am Lisa Rafferty. I am a pastor's wife and former missionary. I am a mother to 4 girls and I live Colorado Springs. To me, being a woman with a vision is to life purposefully, with a strong hope and clarity of the future. 3 things I want this generation to remember are that: 1) this world is not our home, which follows that anytime we feel as foreigners and strangers, we should remember that it is supposed to be that way so that we long for our true home in eternity. 2) the Word of God has the answer for every issue of life, which means that knowing it and the One who gave it to us should be a chief goal in life. 3) womanhood is a beautiful and powerful thing. Don't be afraid of it, don't reject it, and find your purpose in it. Only then will you be fulfilled. My life verse is Acts 20:24, "But none of these move me, nor do I count my life as dear to me, that I may finish my course with joy, and the ministry which I received from The Lord that I may testify to the gospel of the grace of God." The perfect day for me would always begin in the Word and prayer so that I can walk in the Spirit. Then I would be on top of my morning chores so that I could visit a friend in need of encouragement, or bring her a meal, or whatever doors God may open for me. In the afternoon I would stumble on the perfect sale that would meet needs in my family for a fraction of the price. I would then be home for my children when they arrive from school with a warm and yummy home baked snack, and later share a tasty nutritious meal with my family while my husband leads us in family devotions. Later I would be emotionally present as my kids pour their hearts out at bedtime and pray with them and end the evening with an intimate, romantic time with my husband as we drift off into sweet sleep awaiting a new day. I know, it doesn't exist like that all in one day, does it? Thank you Jessica for introducing to us your friend Lisa. Loved the interview.